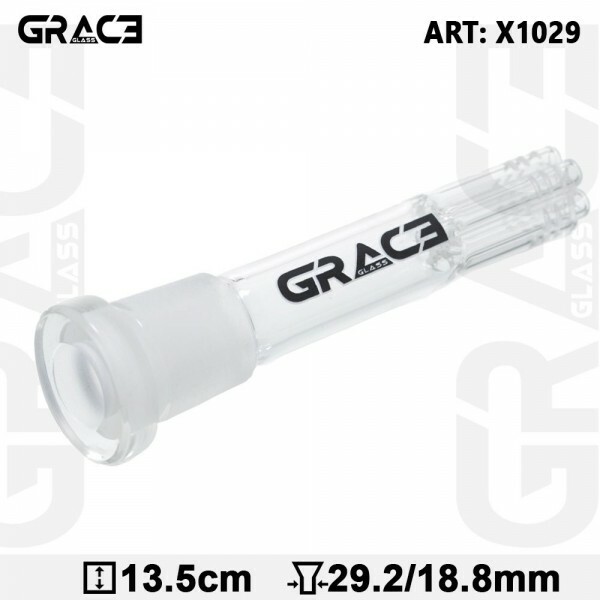 This Grace Glass 6 Arm Diffuser of 13,5 cm length is an indispensable part of your bong. It allows your smoke to spread into your bong via a sure ground of 29.2mm/18.8mm diameter. It fits any bong with a sure ground of 29.2mm, and any bowl with a sure ground of 18.8mm.